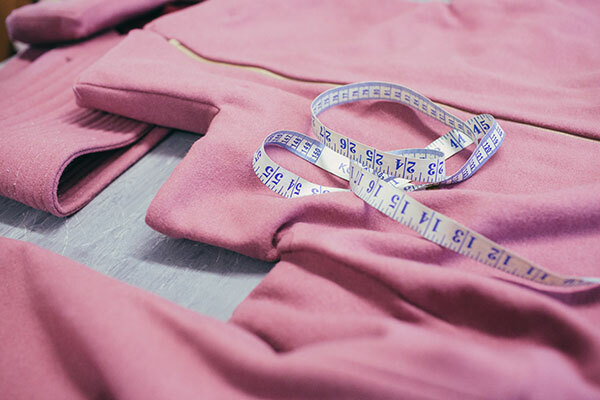 Our BA (Hons) Garment Technology degree course nurtures and encourages you to develop a professional and enquiring attitude within technical aspects of clothing production, and an ability to become confident and self-motivated in your chosen practice. This course has excellent links to international fashion brands, including Burberry, Karen Millen and George at Asda. 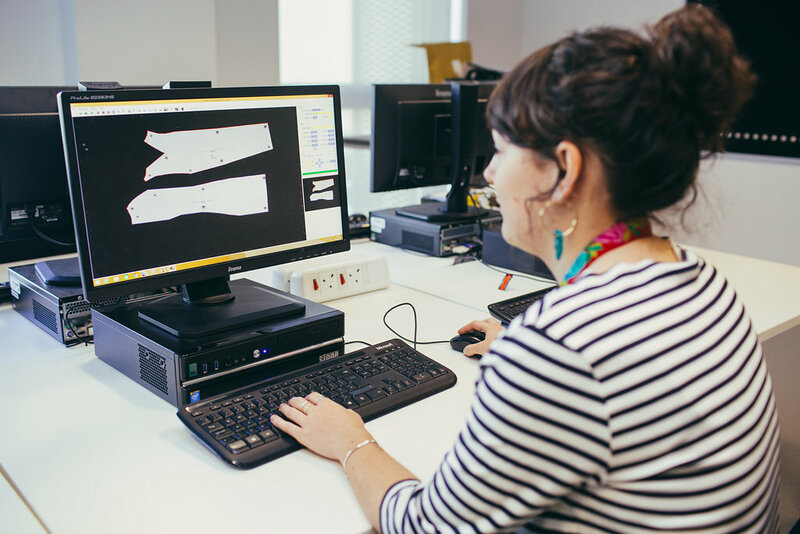 The staff team have industry experience within computer-aided design (CAD), pattern cutting, fashion history and design, and have worked alongside many internationally-recognised brands. 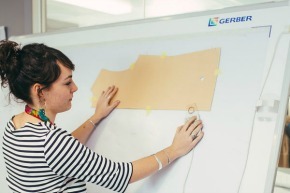 You will learn to work with the Gerber pattern cutting and design system, widely used in the industry alongside supportive staff who are well placed to inspire and shape your future careers. The course equips you with the necessary knowledge, skills and attributes to succeed in a wide range of careers in the fashion industry. 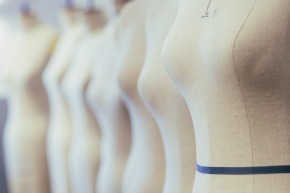 In your first year introduction to a number of fashion topics helps you to develop a good foundation of fashion knowledge and skills in both design and technical areas. Your second year helps to build advanced technical skills and knowledge, and strengthens your personal and professional development in relation to your own career goals. Opportunities to take part in the international Erasmus exchange programme exist during this year. You will have the chance to follow our four-year sandwich option, which provides the opportunity for a one-year internship in industry. 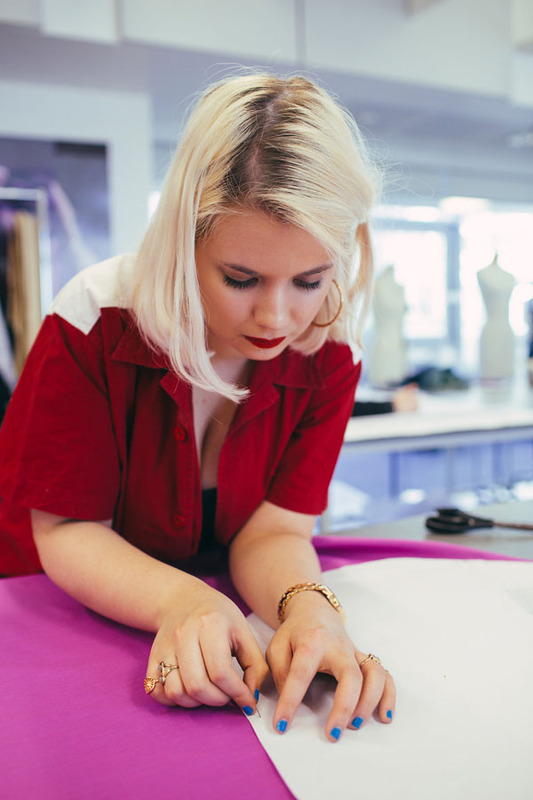 Your final year introduces you to advanced pattern cutting, fittings, grading and sizing, production planning, costing, testing and technical packs. 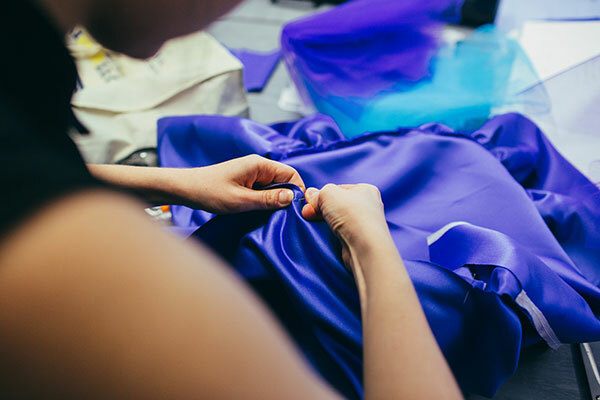 Your work will be closely linked to the industry to produce garments, following manufacturing and production processes that relate to today’s fast paced fashion industry, with the opportunity to specialise in the area that reflects your own personal interest. 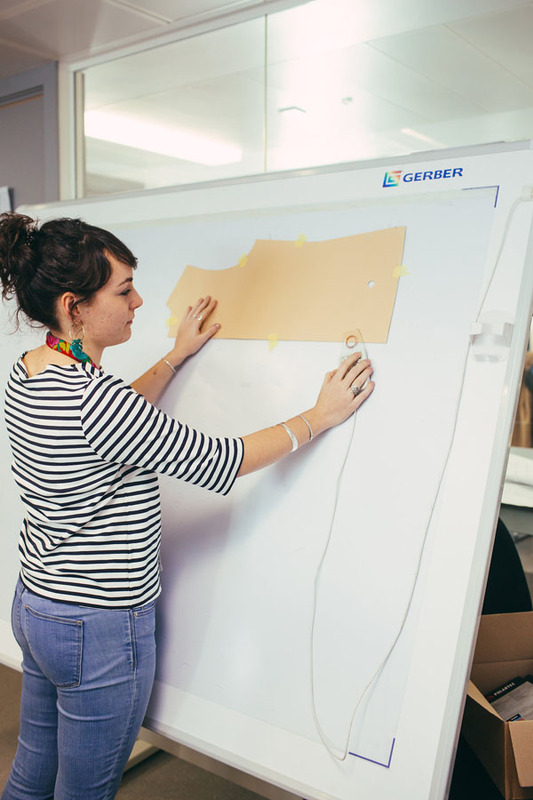 The course blends individual creativity, technical skills, and commercial realism, enabling you to apply your skills and knowledge of the professional design process from concept to product. 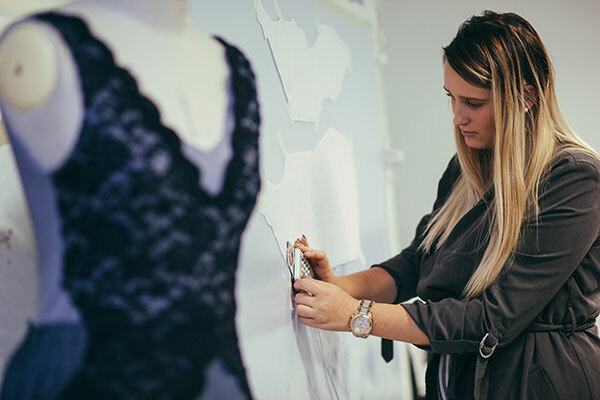 BA (Hons) Garment Technology, BA (Hons) Fashion Design and BA (Hons) Costume Design and Practice have a shared first year of study. You will benefit from our close working relationships with fashion brands like Adidas, Burberry, Amanda Wakeley, Karen Millen, Abercrombie & Fitch and Iris van Herpen. You’ll also use industry-standard Gerber pattern-cutting software and strengthen your knowledge of global manufacturing. You will have the opportunity to participate in our Erasmus scheme, giving you the chance to spend a semester in a different country and culture. 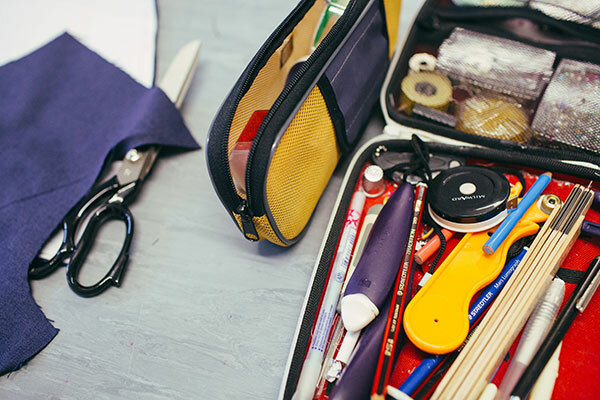 In your first year you are introduced to a broad range of fashion studies theory and technical skills, building a sound base for further study in years two and three. You will learn design skills such as CAD, live fashion drawing, fashion illustration, fashion flats, styling and photoshoots. 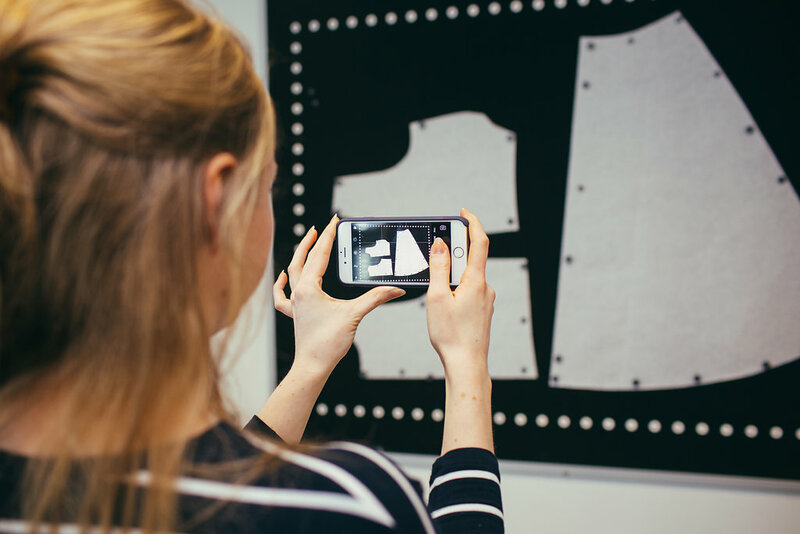 Alongside this, you will gain theoretical skills, such as contextual studies in fashion and related art and design. You will also gain the skills that you need to solve practical problems and create presentations. 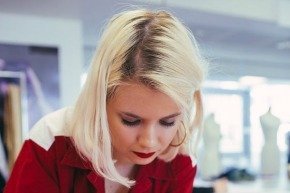 BA (Hons) Fashion Design, BA (Hons) Costume Design and Practice and BA (Hons) Garment Technology have a shared first year of study. This module aims to provide you with the essential skills and knowledge as a holistic learning experience that will form the building blocks for the course and underpin further study. 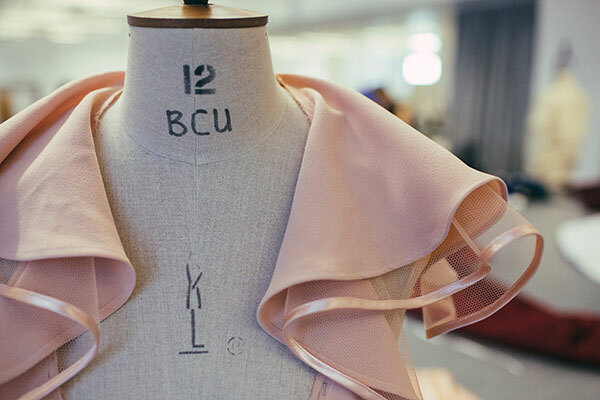 We use this module to ‘create a bridge’ between your prior study and the start of the course by introducing you to the basic visual research, design and technical knowledge needed to professionally construct a garment of your own design. 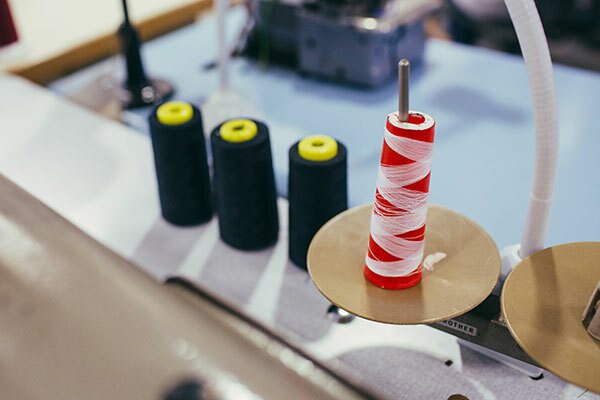 We employ small workshop groups to induct you into studio practice and the appropriate and safe usage of industry standard sewing and garment construction machines. This module aims to provide you with the underpinning skills to enhance the visual articulation of your design processes and output. A broad exploration of 2 & 3 dimensional, and multimedia, techniques will be undertaken; fostering appropriate, innovative, and individual approaches to be developed and applied to future design tasks throughout the course. 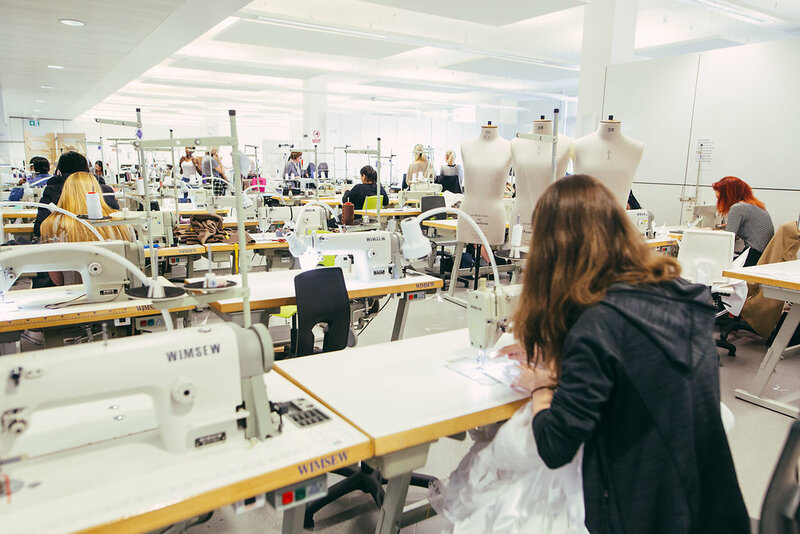 Creative Direction aims to help you develop your skills for your chosen exit award, Garment Technology, Costume Design and Practice or Fashion Design. The module provides you with a technical option and a design option to enable you to develop a cohesive portfolio of work to support the securing of potential work placements or internships within your chosen discipline. 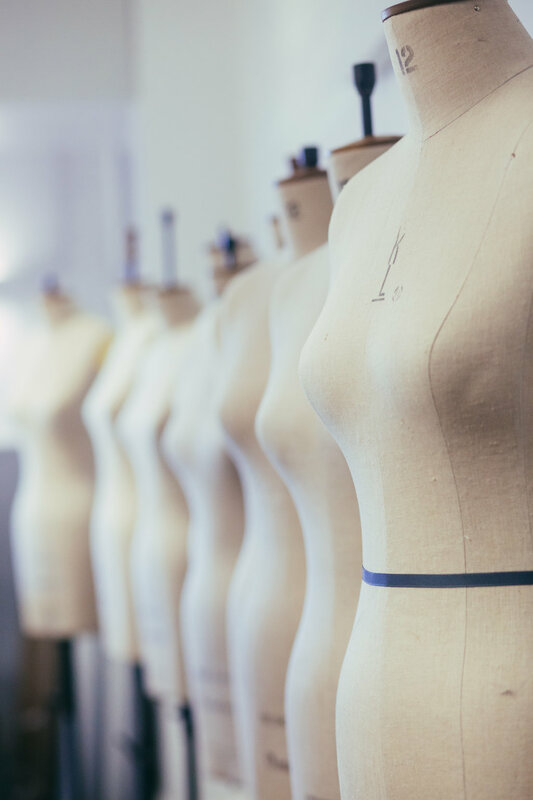 The module will introduce you to the broader context of fashion through a series of contextual lectures covering the theoretical context of fashion and its wider industries. 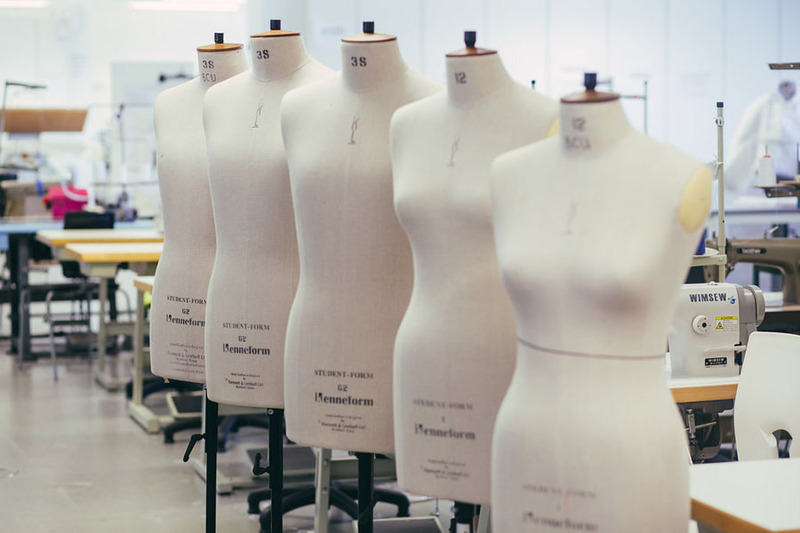 These will allow you to frame your own aspirations develop your knowledge of your chosen industry, be that fashion, costume, or garment technology. 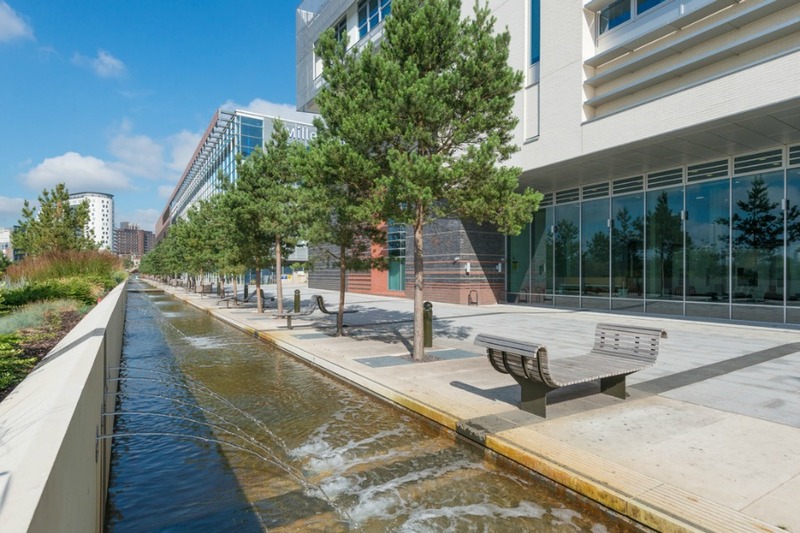 The module will also introduce you to writing techniques, a range of respective research methods and resources in the planning of your research proposal. You will also analyse your strengths and weaknesses to allow you to identify a range of career opportunities. 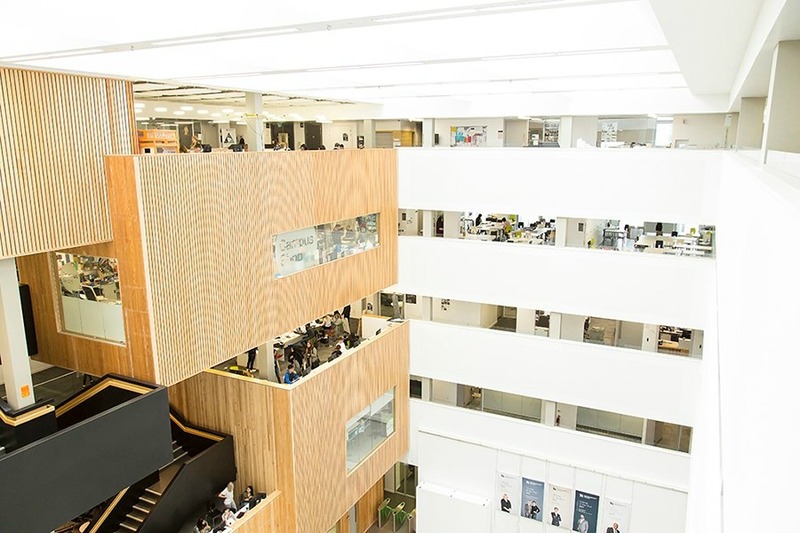 In your second year, you will develop more advanced research, design development, presentation and technical skills, with a view to gaining work experience that will enhance your skills and employability upon graduation. This module is an opportunity to develop your creative and technical exploration skills aligned with your chosen exit route. Building on the enquiring skills and ability gained at level 4 to progress your ideas and professional practice, in readiness for your final year of study. This module aims to build on your knowledge of academic writing. You will be encouraged to discuss, argue and critically analyse the lectures, this will be further supported with research, academic writing, referencing and essay structure sessions. This module aims to expand the knowledge and skills required to progress your particular career aspirations Providing an opportunity for you to focus on a specified brief that will prepare you for your final year. Advanced practice should evidence your capacity to work at a professional level within your selected discipline, whilst being supported by both the academic and technical teams. During your final year of study you will focus on your own individual area of practise. You will collaborate within industry on a live brief to produce costume designs, and final outcomes for your chosen performance genre. Developing skills specific to costume industry through these live collaborations within a supportive, nurturing environment. Within this module you will research, establish and consolidate your ideas, which will provide the foundation for the development of outcomes within your Independent Practice module. The project will focus and cultivate your ability to experiment, collate, organise and present your work to achieve your own professional direction within your specialist area. The Independent Practice project is the culmination of your studies, during the course you will have identified and developed your own personal goals. This project provides an opportunity for you to create a portfolio of work that will demonstrate your skills and potential to employers or clients. This course is ideal if you intend to pursue a creative career within the technical fashion industries. 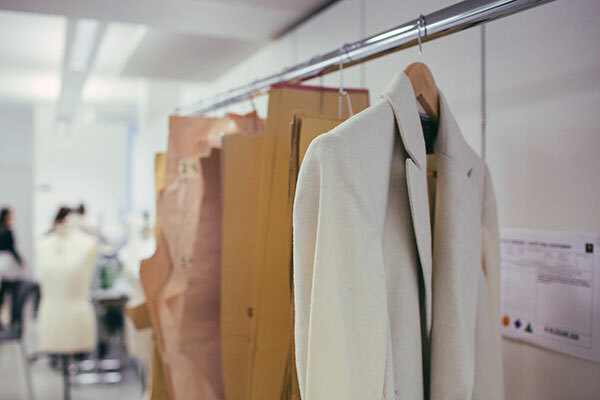 Our previous graduates work within companies including Hackett, Burberry, Joules, and Mountain Warehouse, as well as many other international brands. On successful completion, you will graduate with a portfolio-based final outcome relevant to your individual career aspirations. 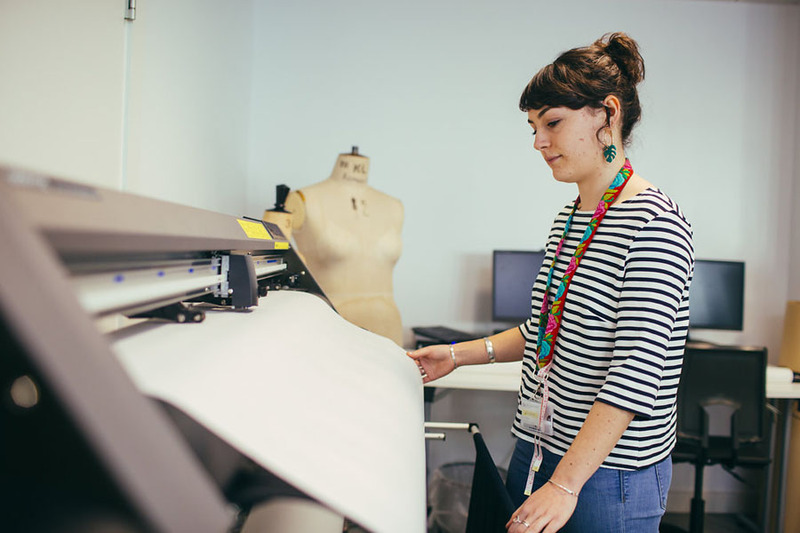 Our graduates typically go on to professional roles in fashion design, womenswear, menswear, children’s wear, sportswear, garment technology, styling, trend forecasting, graphic design, visual merchandising, buying, PR, costume making, and event management. Your development is enhanced by work placements either in the UK or overseas, giving you a real opportunity to make important industry contacts. 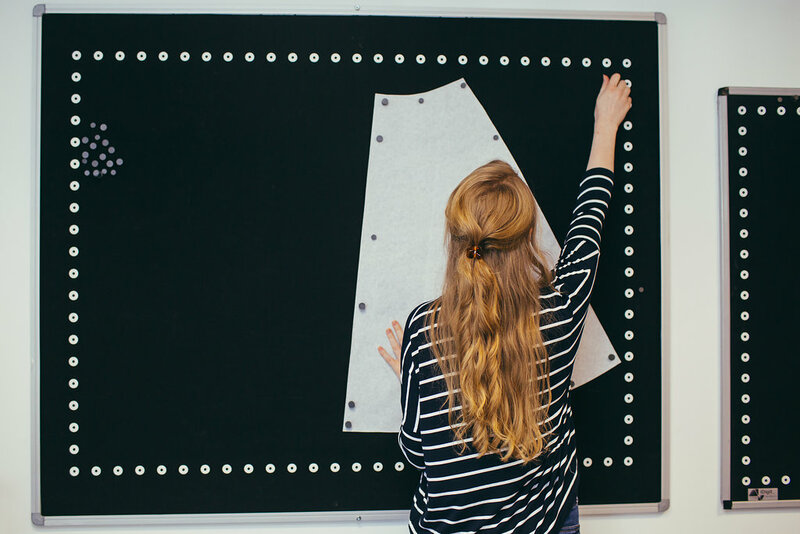 Throughout the course you will be supported by our experienced teaching staff, as well as specialist visiting tutors who are practitioners in the industry, giving you an excellent learning experience in a wide range of fashion specialisms. 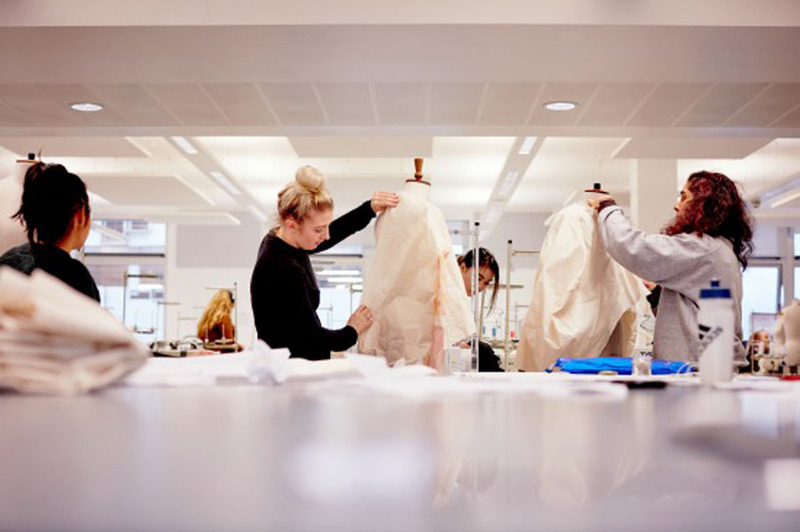 Garment technology graduates go onto careers as garment technologists, product developers, designers and buyers. 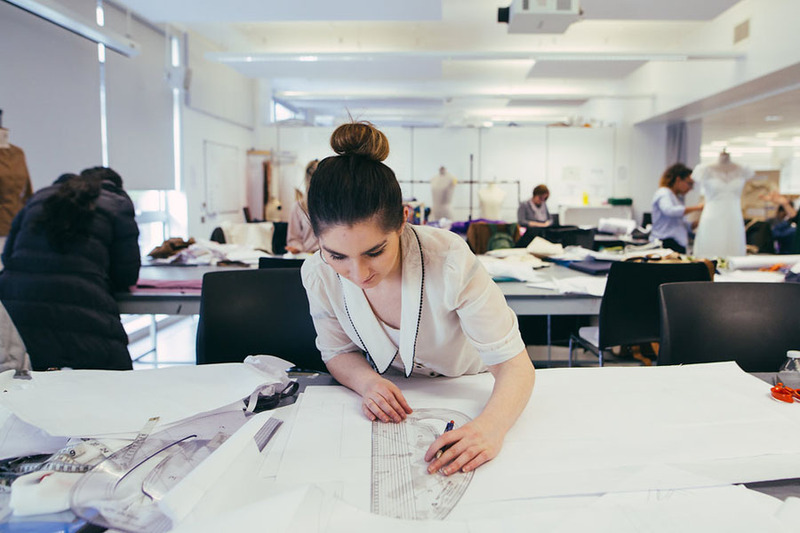 Graduates pursue careers in fashion design, menswear, children’s wear, sportswear and other niche markets, garment technology, styling, visual merchandising, buying, PR, costume design and event management. 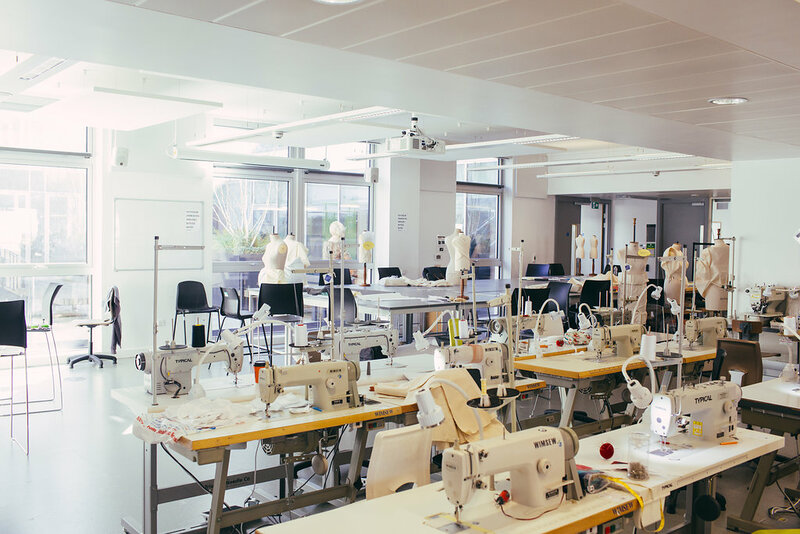 The course provides an extensive fashion workshop space, and industry-standard equipment; including access to Gerber software reflecting the needs of the fashion industry and the broad range of study opportunities on offer. Our staff team have industry experience within computer aided design, pattern cutting, fashion history and design and have worked alongside many internationally recognised brands. 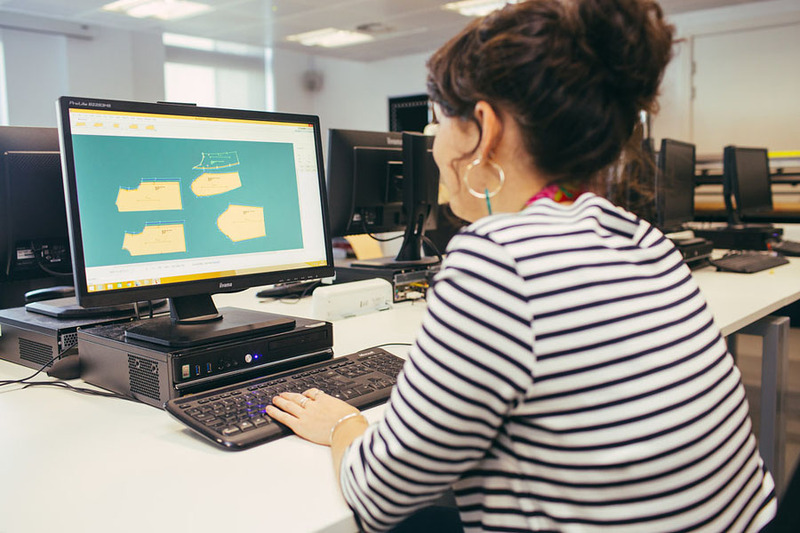 Learn to work with the Adobe creative suite, widely used in the industry alongside supportive staff, who are well placed to inspire and shape your future careers. 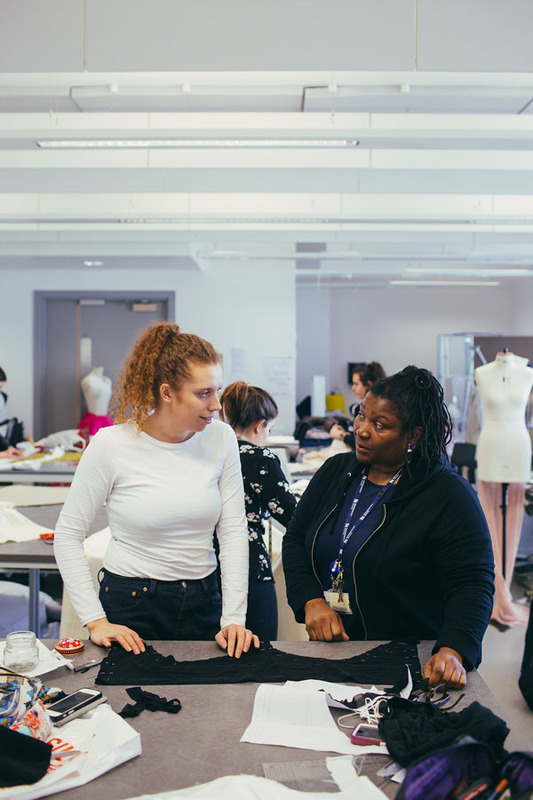 Sheila Griffiths is a Senior Lecturer with the School of Fashion and Textiles where she teaches pattern cutting to undergraduate students on all three levels of the BA (Hons) Fashion Design programme. Sheila is also the faculty lead academic for technology enhanced learning and teaching, a role in which she promotes the use of e-Learning and technology in her faculty.